The Range Rover Velar Named World Design Car Of The Year 2018. New York, 28 March 2018 – The Range Rover Velar has been judged the most beautifully designed vehicle on the planet, winning the World Car Design of the Year title at the 2018 World Car Awards. Gerry McGovern, Chief Design Officer, Land Rover, said: “The continued evolution of our design philosophy is driven by a relentless focus on creating highly desirable vehicles our customers will love for life. 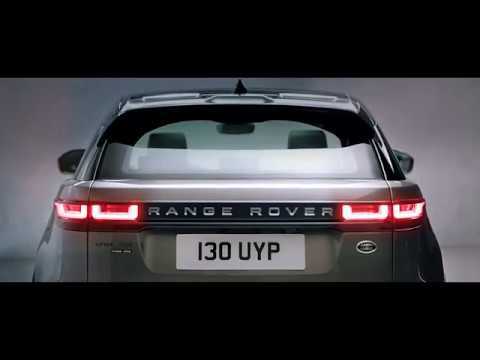 The Range Rover Velar brings a new dimension of modernity to the Range Rover family with an abundance of innovative technologies, all making this vehicle a joy to drive and be driven in. The Range Rover Velar, priced from €62,240 in Ireland, is available to order now at Joe Duffy Land Rover, Book your test drive today.